Neurodegeneration causes inexorable loss of neurons and function in both diseases and aging. Neurodegeneration damage produces a range of progressive disabilities from cognitive decline, behavioral, and mood disorders to problems with movement, coordination, and sensory dysfunction. Neurodegeneration is a major and growing public health issue which in its broadest sense embraces classical neurodegenerative disorders such as Alzheimer’s disease and Parkinson’s disease, as well as multiple sclerosis (MS), diabetes, acute brain injury among many other conditions. 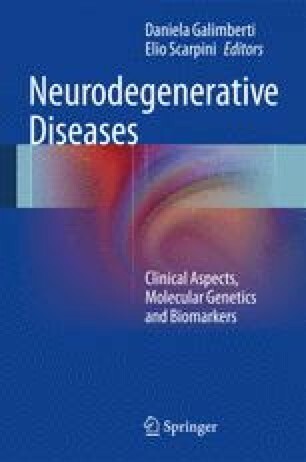 This chapter discusses the clinical and pathophysiological features of neurodegeneration in MS. The MS Center VUmc is partially funded by a program grant of the Dutch MS Research Foundation. World Health Organization. International classification of impairments, disabilities and handicaps. Geneva. 1980. Available at: http://www.cdc.gov/nchs/icd/icf.htm. Accessed 10 Jan 2014.